Every week around the country and in parts of the world, a group of men can be found in the streets or going door to door with a newspaper. 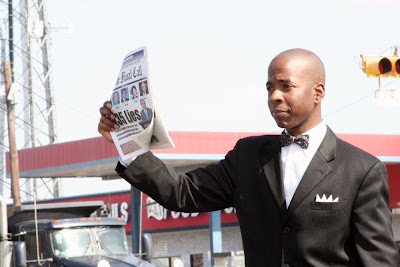 It is the only remaining nationally distributed Black-owned weekly newspaper in the United States. It is also read thousands of miles away on other continents. That paper is The Final Call. I read my first copy of the Final Call as a freshman in high school and I found it to be very unique. It was filled with stories about poor people that I didn't see on cable or in the other local papers we received at our doorstep. Then I started seeing men dressed in dark suits, white shirts and bowties offering this same paper to people passing by in their vehicles. Those men are the Fruit of Islam (FOI), the wing of the Nation of Islam that trains men. One brother on the street corner would yell "Final Call my brother?" and another may say "Get the latest and greatest addition young brother". People such as myself would buy one while others would reject them, curse at them, yell at them, speed by them, and call them out of their names. I even asked myself, "What in the world would make a man wear a suit in Houston's 100 plus degree heat to sale me a newspaper?" In 1997 I joined the NOI and for the first time I got on the corner of Homestead and Tidwell in Northeast Houston to sale the FCN. Within a few minutes I got cursed out by a non-Muslim and after two hours I had no sales. But we have been taught to not give up. And then a man drove up to a red light and said "You must be crazy. It's hot out here!" I remember just smiling at that person and saying "The guidance contained in this paper is worth the sacrifice of a few hours in the Sun". He looked at me, pulled out a dollar and bought a copy. Despite what people may think, we are not paperboys...we are servants. Just like everyone else, we believe in our brand. Our brand is The Final Call. We read it, discuss it, teach it, distribute it and represent it. Every FOI that has ever sold one copy of this paper could write volumes of books because many have been shot at, nearly hit by cars intentionally, arrested, had doors slammed in their faces, threatened and more stories that you wouldn't believe....but they are real. So the next time you drive by and you see that sharply dress brother offering you the Final Call or hearing him knocking at your door, give him a moment to tell you about a newspaper that may change your life. This was a very good post and makes me prouder to be a FOI and distributer of the FCN. This was very inspirational. I am an avid reader of the Final Call. I will get mines today! I must admit I was one of those people who used to pass right by you all. Once I read my first copy, I was hooked. 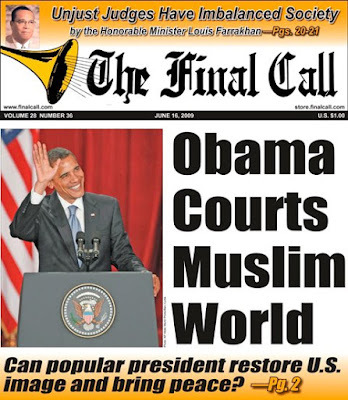 Everyone should read the Final Call regardless of your color or religion. Brother Jesse, this is a good article but with all due respect, it does not offer the perspective of those of us in the community that see the Brothers as a source of pride and respect their efforts to inform us. I'm one of them, I use to go to the library to read Muhammad Speaks and the Black Panther Party paper (now I read The Final Call) - if you only knew how many times I've read "What the Muslims Want" and "The BPP 10 Point Program." Good work my Brother (begin in Brother, end in Brother)! Thank you to everyone for your comments. and Brother Kwabena you just gave the perspective! Thank you Brother. This is just part one of a series that God Willing will be published on this blog over the next few weeks to give a well-rounded perspective of the Final Call experience. More to come! Keep supporting the Final Call. Awesome article. I will keep supporting the Final Call. From my perspective you are absolutely right beloved.Master Fard Muhammad told the Messenger take plenty.The Final Call is a tool that we must use to strike conversation with our people. I see it as a great vessel to create universal friendship.I appreciate the articles you usher forth God.May Allah continue to bless you soldier.